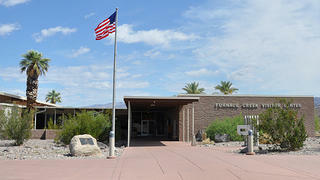 Located in Death Valley National Park, the Furnace Creek Visitor Center was built in 1959 by NPS architect Cecil Doty. Between 1956 and 1966, the National Park Service (NPS) had 95 visitor centers, 216 utility buildings, 257 administrative and service structures, 575 campgrounds, 1,239 park housing structures, and 2,767 miles of new and repaired roads constructed throughout the national parks, among other amenities. All structures featured a distinctive modernist park style. Spurred by a comprehensive program known as Mission 66, these new additions were built to address problems plaguing the parks, including outdated buildings that could not accommodate the expected 31 million increase in visitors by 1966. The program had its controversies—after all, it was a great departure from the traditional rustic style of park service architecture, it re-imagined the role of parks for the public, and it caused friction with the mission of conservationists and environmentalists—but it succeeded in bringing the national parks into the modern era, transforming how we see parks even today. 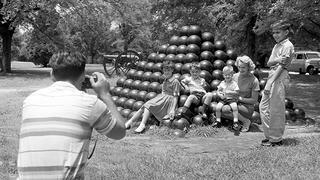 A family enjoying Shiloh National Military Park in 1959. 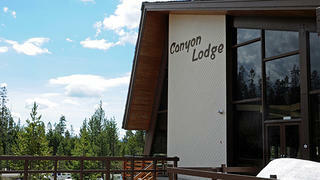 Canyon Lodge (1955) in Yellowstone National Park was restored in 2015. 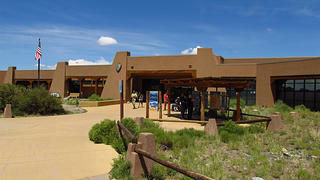 The Painted Desert Community Complex, a National Treasure of the National Trust at Arizona's Petrified Forest National Park is an exceptional example of Mission 66. 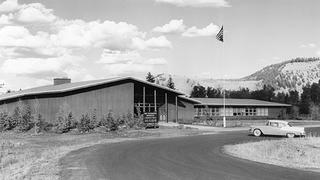 The Moose Visitor Center (1958) was one of two visitor centers built during Mission 66 in Grand Teton National Park. 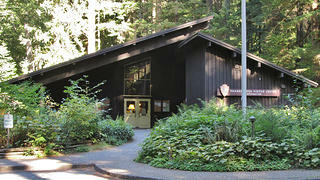 The Ohanapecosh Visitor Center (1964) at Mount Rainier National Park is the main interpretive facility for the park. 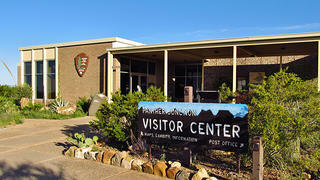 The Panther Junction Visitor Center at Big Bend National Park was designed by Cecil Doty in 1964. After the visitor center and other visitor amenities were constructed in the early 1960s, visitation quadrupled at Great Sand Dunes National Monument by 1968. 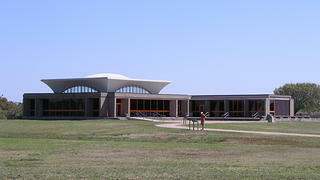 The Wright Brothers National Memorial Visitor Center (1956) showed what Mission 66 could achieve in a small park with a small amount of resources. 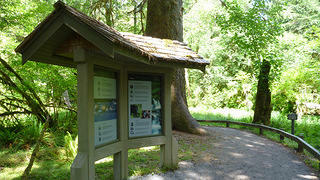 The Hoh Developed Area in Olympic National Park includes a visitor center, trails, camping areas, an amphitheater, and informational signage such as this. 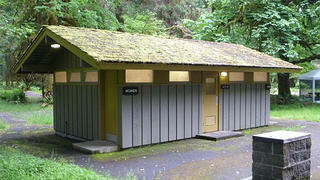 584 "comfort stations," or restrooms, were built during Mission 66. We have a responsibility to ensure our parks are maintained and preserved so future generations can continue to enjoy and learn from them.